UFO SIGHTINGS DAILY: Giant UFO Viewed From Space Station, March 2017, Video, UFO Sighting News. 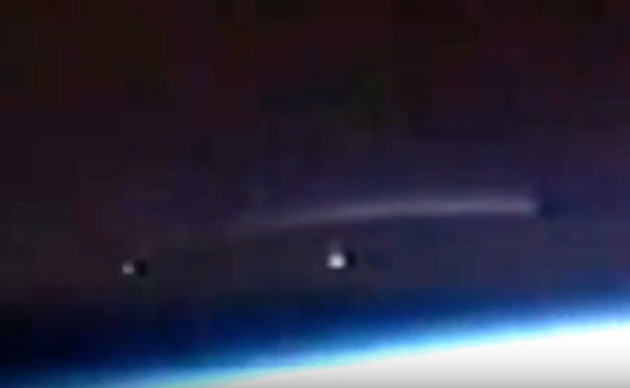 Giant UFO Viewed From Space Station, March 2017, Video, UFO Sighting News. This giant UFO was found by Streetcap1 today. It was in high orbit over our planet, but you wont hear any mention about it from any government source. Amazing catch. I thought I was seeing things. I had to be quick. This should appear in the archive later for those wanting verification. The dimming at the end was sudden and my guess is they turned down the brightness a little because they spotted it. Sorry about quality, but it was hundreds of miles away. Streetcap1.